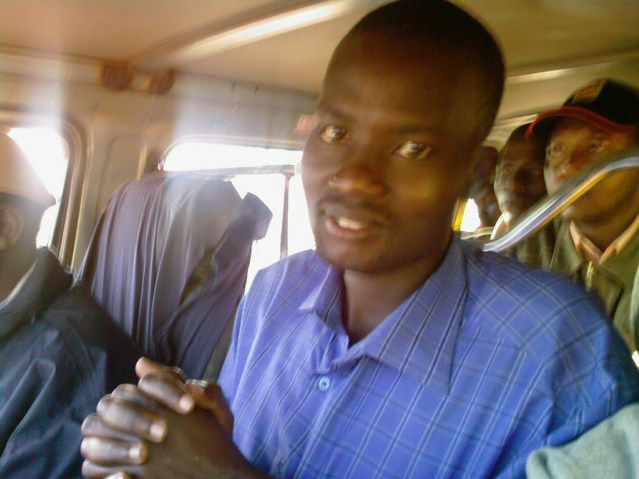 I got into a van going from Kilgoris to Kisii, Kenya and met a man by the name of Napoleon. He was in Kilgoris applying for a lab technician’s job as was quite frustrated, he says he has been looking for a job for one year. He graduated in May of 2008, and as of June 2009, he still does not have a job. We discussed many topics, Napoleon says that Kenya needs help; I said Kenya is just fine. In a way, everyone on the planet wants a break; they want to stop the struggle to find money. Napoleon wants a job, but he wants a reprieve from the search for a job, he is not lazy, more a frustrated young man who is tired of rejection. I try to understand African culture; people in a passive aggressive way continually abuse each other. More or less the potential employer was willing to waste the young man’s time and money. Of course there is two sides to the story, maybe the employer was just giving the man any excuse to avoid saying he did not want him for an employee. I on the other hand know the culture of Africa has an annoying habit of asking me to come, or they say they will come. I think they receive pleasure and a sense of power by having me listen to them if I come over and obey. On the other hand if they say they are coming and do not come, they in reverse have the power of not showing up. It is an abusive game, and truly makes doing business a joke. I go over and the people believe they have the right to ask me many questions and I am supposed to answer. What gives them the right to command me? The person says they are coming, however they never show up. I ask them why, and they make another promise to come. All this is coupled with mockery, the evil that exist in Africa. Why do people want to prove to others they are clever? I sense the people of Kenya are being well educated; I am not sure what the value of education is when there are no jobs. There is not much of an entrepreneurial spirit in Africa; there is an entrepreneurial desire to get free money of donations from the rest of the planet. Napoleon was a good kid, frustrated and tired, I do not feel sorry for him, I just encouraged him to continue to try and never give up. It is easy for me to say, I come from a country that teaches to get the job done. I am sure I confuse him, the culture learns from a small child and for the rest of their life that White people come and help them. I on the other hand am quite strict, and say get a job and I do not feel sorry for you, I do not think you are poor, you need to work. This must be baffling to hear from a white man sitting next to you in a van. People that need help and saved are beggars; this truly hit a chord in Napoleons mind. Oh well, if he gets hungry enough the World Food Program will come and make sure he never works. I told a person the other day, you are waiting for the White People to come back to Africa; we are never coming back.